Steven E. Test, 75, of Asbury died Monday, September 10, 2018 at Grand Meadows. Visitation will be held Friday from 5 - 7 p.m. with a prayer service to follow at the Egelhof, Siegert and Casper Westview Funeral Home and Crematory, 2659 Kennedy Road. Committal will be in Linwood Cemetery 10 a.m. Saturday. Steve was born September 21, 1942 in Alta, Iowa, son of Earl and Sybil (Tincknell) Test. Steve was raised and attended High School in Paullina, Iowa. After graduating High School, Steve attended University of Dubuque for two years, before transferring and graduating from the University of Iowa. 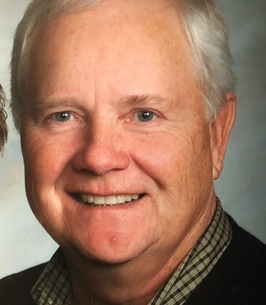 After graduation, he moved to Dubuque where he went to work at John Deere and met his wife to be, Beverly Butlett, whom he married on August 13th, 1966. Steve worked as an Industrial Engineer at John Deere for 36 years, retiring in 2001. Steve and Bev were happily married for 52 years. He enjoyed spending time with family, grandchildren, and friends. Steve was an avid golfer and enjoyed watching sports and following his favorite teams, the Iowa Hawkeyes, Vikings, and Cubs. He particularly enjoyed and cherished his rounds of golf he played with friends, and family, whenever he could. Steve is survived by his wife, Bev Test of Asbury, son, Jeff Test of Dubuque, and daughter, Lynn (Scott) Schueller of Northville, Michigan. He is also survived by his three grandchildren, Miah, Trevor and Nora Schueller. Steve was preceded in death by a brother, John Test. For further information, please visit www.egelhofsiegertcasper.com. Memorial funds can be directed to Hospice of Dubuque. The family would like to extend a warm thank you to all the Grand Meadows nurses and incredible staff at Hospice of Dubuque who took tremendous care to of him in his time of need. To send flowers to the family of Steven E Test, please visit our Heartfelt Sympathies Store.